Talk on the Rock is KSTK’s live call-in show. Every Tuesday at 1pm we welcome a local guest to discuss events and topics of interest to our little island town. 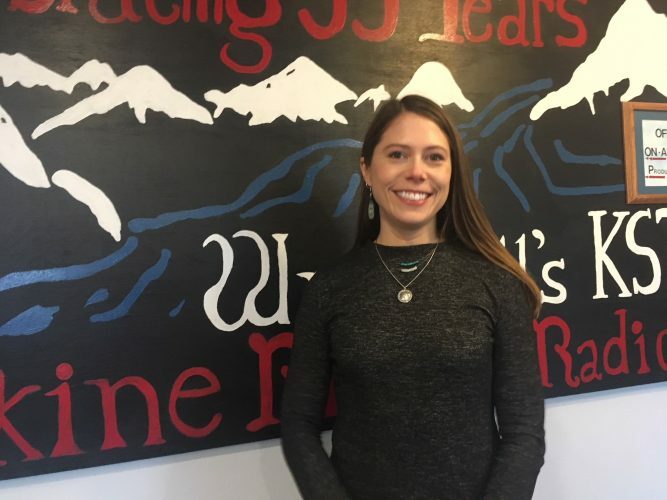 For this week’s episode, host June Leffler spoke with Esther Ashton, the tribal administrator at the Wrangell Cooperative Association. Esther spoke about the various grants the tribe’s gotten to improve housing for tribal citizens in town. She also spoke about the tribe’s long-term plan to curb the outward migration of folks from Wrangell. And she mentioned the new WCA office that will be adorned with large form-line work by artist Steve Brown.